Clubbell Yoga expresses the original intent of yoga by uniting two very effective ancient systems: Club swinging and Hatha Yoga. Clubbell Yoga practices strength and intelligent movement in a non-dogmatic method for tapping into flow state, while remaining grounded in anatomical alignment and precision breath. Clubbells uniquely distribute weight above the handle, activating the shoulder girdle muscles, postural muscles, and core. This effect totally differs from a dumbbell, where skeletal bones bear most of the weight. When using clubbells in vinyasa flows, your clubbell® becomes an extension of your arms, and calls upon the inner and outer core muscles to hold it upright - a somatic reminder to keep the core and arms engaged during strength poses in yoga. Because of the long shape, the clubbell® very easily integrates into yoga poses, where the arm serves as a long lever. 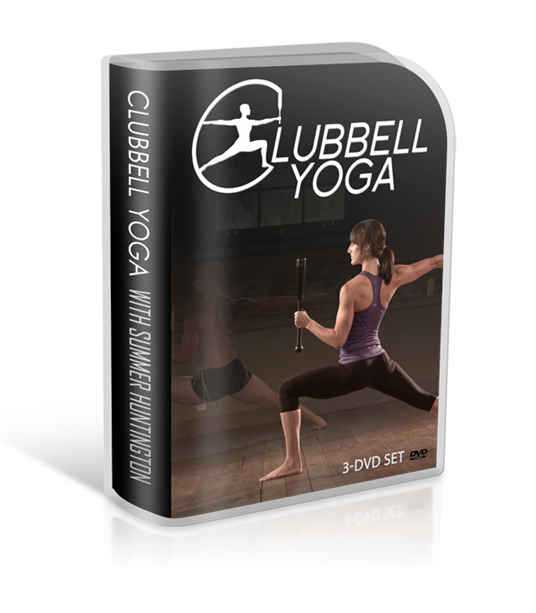 By incorporating your clubbell® into vinyasa, you become hyper-aware of moving through space in a safe, strong, and efficient way. As the clubbell® travels in all degrees of freedom, it utilizes the stabilizing muscles in the shoulder and core, so you become stronger quickly. This fusion practice will take your yoga to the next level, and accelerate your development even if you're new to yoga. Summer Huntington is a Head Coach at RMAX International. She holds a Masters degree in Exercise Science: Human Movement & Performance, and is an experienced yoga teacher. She specializes in group fitness, corporate wellness, and personal training.